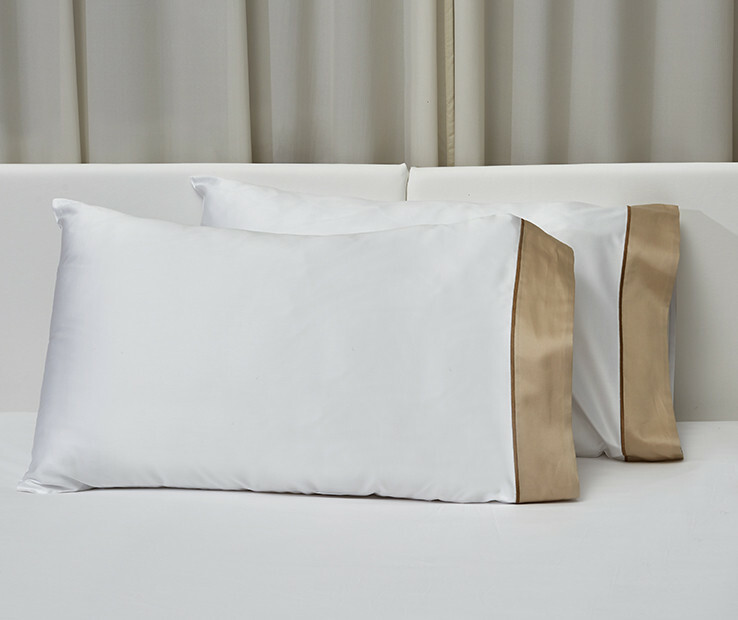 Subtle elegance, fine hand and brightness are the main features of Luna pillowcases made with the finest, longest-staple Egyptian cotton. 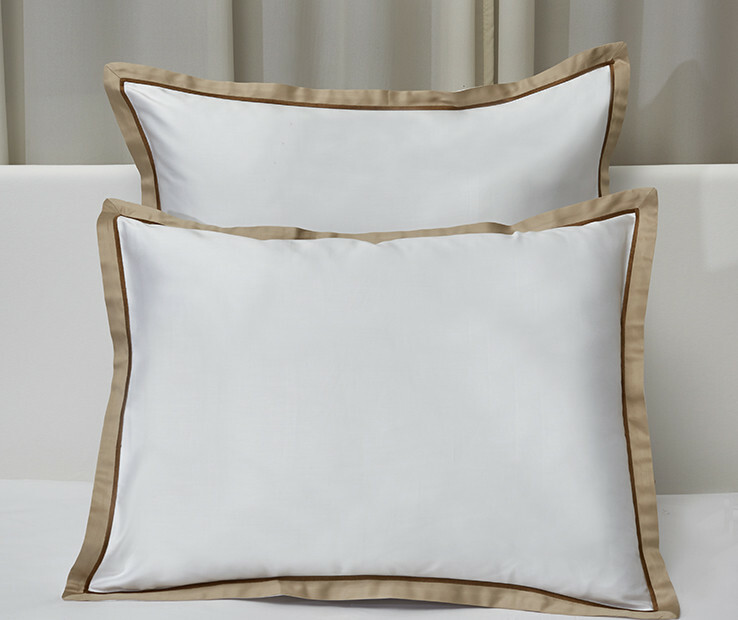 Luna pillowcases are refined with a sateen colored border finished with an embroidered line in coordinating color. Made of 100% Egyptian combed cotton 600 t.c. sateen. 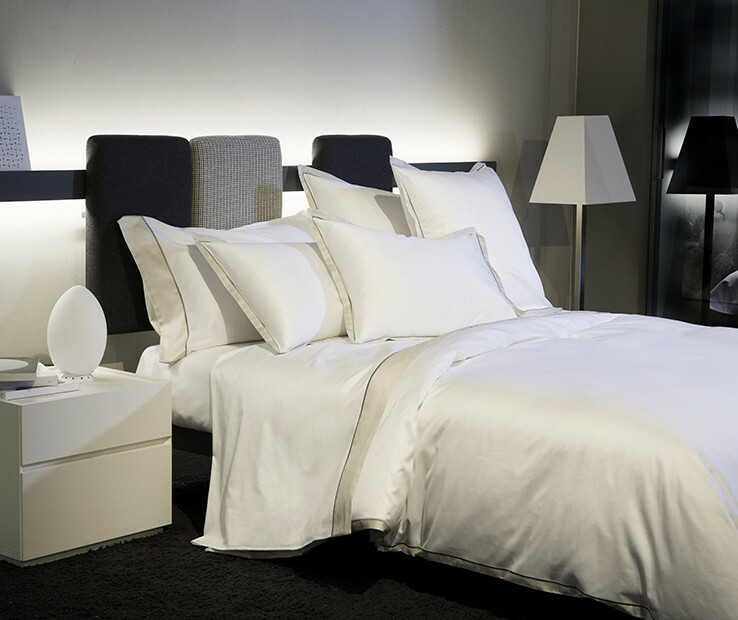 Subtle elegance, fine hand and brightness are the main features of the Luna duvet cover made with the finest, longest-staple Egyptian cotton. Luna duvet cover is refined along the three edges with a small sateen colored border finished with an embroidered line in coordinating color. 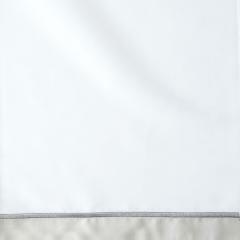 Made of 100% Egyptian combed cotton 600 t.c.sateen. 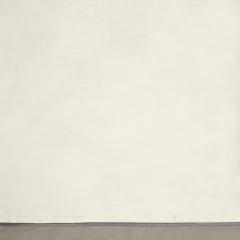 Subtle elegance, fine hand and brightness are the main features of Luna Flat sheet made with the finest, longest-staple Egyptian cotton. 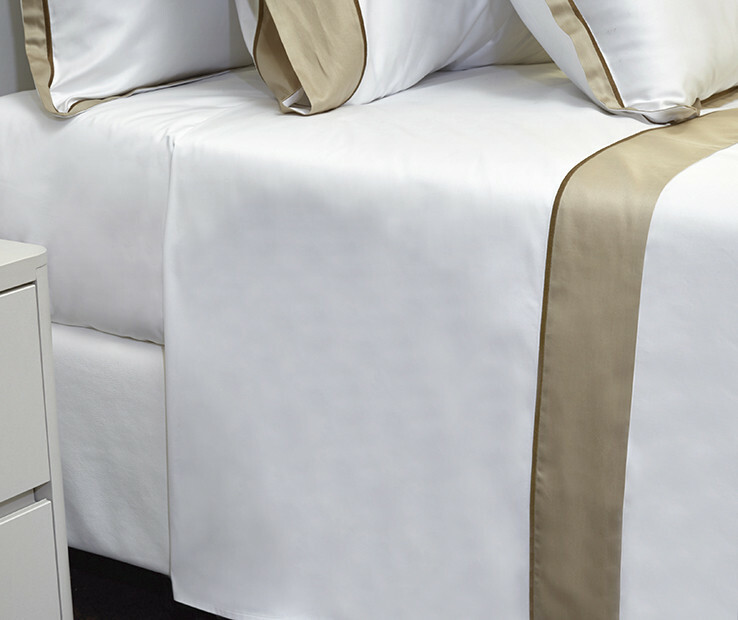 The Luna flat sheet is refined with a small sateen colored border finished with an embroidered line in coordinating color. 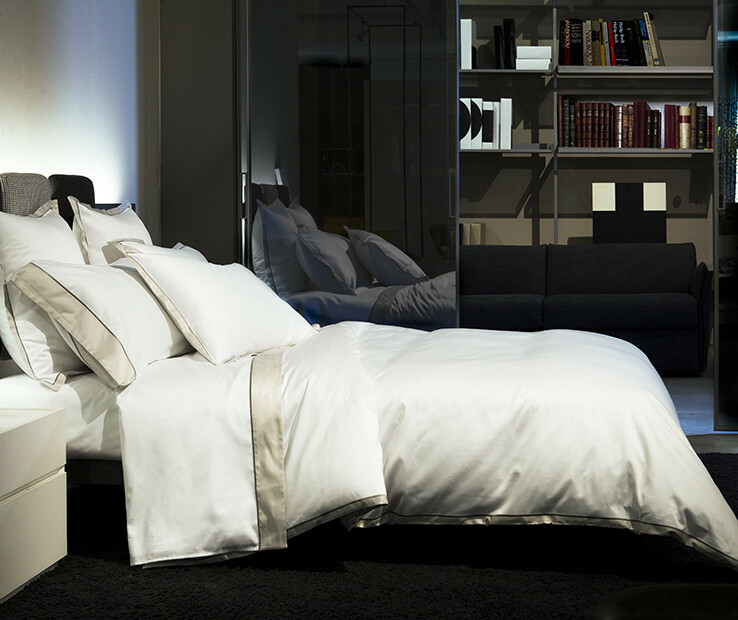 Subtle elegance, fine hand and brightness are the main features of Luna sham made with the finest, longest-staple Egyptian cotton. Luna sham is refined along the four edges with a small sateen colored border finished with an embroidered line in coordinating color. Available in Standard, Euro and King size and in a variety of color combinations. Made in Italy.